Hvino News | Georgian Wine News: "The Guardian" calls Georgian Rkatsiteli "wonderful"
"The Guardian" calls Georgian Rkatsiteli "wonderful"
19.07.2016 (Hvino News). "In the newly insular Britain, a little gastronomic cosmopolitanism is not only fun and delicious, it almost feels like an act of resistance", reads a new article in The Guardian. Not without a dash of English humour, the article titled "Cabernet and kimchi? Or syrah and sashimi?" covers some of the non-traditional wines, including Georgian and Lebanese. "Many of the more interesting cuisines to have developed in Europe in the past couple of decades", - writes the author David Williams, the wine correspondent of The Observer and The Guardian, and deputy editor of The World of Fine Wine. 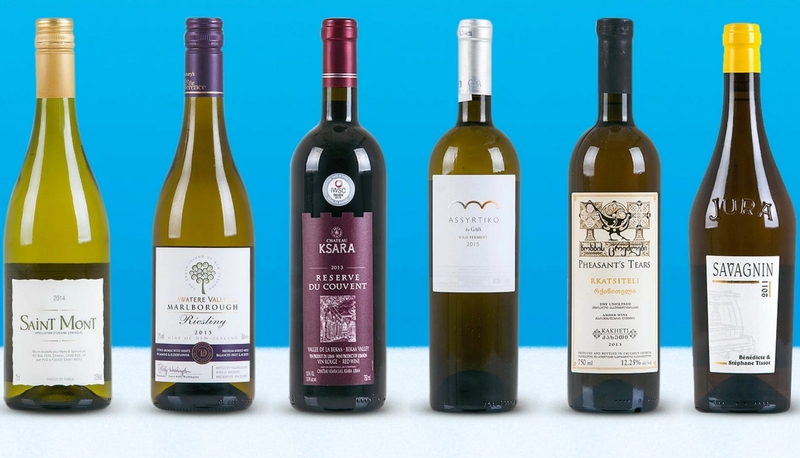 Amongst six selected wines one Georgian wine is featured: Pheasant’s Tears Rkatsiteli 2013 (price tag: from £15.95). "It’s no surprise to find this wonderful example of clay amphora-aged Georgian orange wine on the list at Ottolenghi: with its array of spice, nuts and subtle honeyed notes it would work brilliantly with modern Middle Eastern food". (Yotam Ottolenghi is a British chef, and owner of several restaurants). Other wines covered are Marks & Spencer Saint Mont (France), Awatere Riesling (New Zealand), Château Ksara Réserve du Couvent (Lebanon), Gaia Wild Ferment Assyrtiko (Greece), Domaine Stéphane Tissot Arbois Savagnin (France).